The following is an opinion article written by Jennifer Knox, Head US West, Swiss Re Corporate Solutions. The views expressed within the article are not necessarily reflective of those of Insurance Business. Attracting a diverse mix of employees is the best way to serve clients and the insurance industry knows this. Having spent the past 25 years in this industry, I have seen diversity and inclusion practices become more easily – and wisely – woven into the fabric of many organizations. Efforts to foster greater diversity, in general, have focused largely on developing and mentoring women. With that said, I find it interesting (and troubling) that for the most part, the C-Suite appears to somehow easily deflect these efforts. In short, there’s a lot more work to do to widen the talent pool. Leadership and business ownership: Explicit and strategic leadership commitment to and business ownership of diversity and inclusion. Capacity building: Developing the skills of our leaders, managers and employees. Talent and human resources policies and practices: Embedding diversity and inclusion in corporate policies, practices and structures. Diversity key performance indicators: No quotas, but we are measuring. 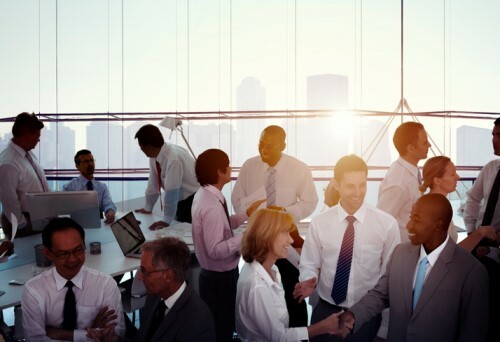 While many large insurance corporations have also created formal diversity and inclusion policies for those in the executive suite, it’s critical that these best practices trickle down to the sales team, allowing them to truly connect with current and potential customers. At the Insurance Industry Charitable Foundation Western Regional Forum on June 21, I’ll be participating in a panel discussion about diversity and how it relates to sales effectiveness. The discussions will allow industry leaders to talk about today’s most important diversity and inclusion subjects and send attendees forth with action plans that can broaden strategies to focus on often overlooked groups like the LGBTQ, disabled and ethnic minorities. It’s been proven time and again that diversity and an inclusive culture are key determinants in the ability of teams to make balanced decisions, navigate uncertainty and innovate successfully. When talking about a sales team – the most successful one will be the team that not only can provide quality customer service to its customer base – but ultimately is able to truly connect with current and potential customers. The broader range of diversity and background in a sales team, the more prospects they will attract and ultimately the more sales they will make. Having a diverse and inclusive culture not only will attract the very best employees – but will help deliver better approaches and solutions for clients throughout the entire sales process. Additionally, it has been written many times that the cultural match between seller and buyer is a predictor of sales success. The more diverse your sales team, the greater likelihood you will effectively connect with a broader spectrum of prospects and customers. A 2015 study published in the Journal of Management examined racial diversity and sales performance in the retail space and found “a match between store-unit racial diversity and community racial diversity positively related to store-unit sales performance.” Simply, sales rose when the makeup of a store’s workforce mirrored that of its community. The insurance industry is fast making advancements in recruiting women, but we still have work to do when it comes to recruiting people from other groups and identities. Strong leaders will continue the momentum – and will be more inclusive of the full spectrum of a diverse talent pool. As diversity strategies become more comprehensive, organizations will have to embrace new ways of thinking. Not every worker has the same goals for his or her career and the workplace of the future will have to be a melting pot of options for the changing workforce. When I was coming up in the industry, I was trying to achieve my professional goals while raising two daughters with my husband. I put pressure on myself to be a great mom, a great colleague, and a great boss. Millennials aren’t afraid to ask for what they want and employers will need to recognize that not every worker is interested in the 65-hour work week that has long been required to rise to the top. Younger workers want balance and won’t be shy about it. Honest conversations about expectations and goals will become increasingly important as the employee mix becomes more varied. In a global organization such as mine, with offices all over the world, we have quite a diverse and inclusive community of employees when it comes to nationality. We have individuals from a variety of different countries working in most, if not all, disciplines of our organization and across our geographies. With this solid foundation, specific efforts around diversity and inclusion across the broader spectrum of groups is not a new concept. And it appears that most organizations are doing what we’re doing – embracing the fact that diversity and inclusion is not just a moral imperative, but a strategic one as well. Jennifer Knox is senior vice president and regional executive for the West Region of Swiss Re Corporate Solutions. With over 20 years of commercial insurance experience, Jennifer is managing the company’s largest US Region and is charged with driving profitable growth, across multiple lines of business, to ensure the continued success of Swiss Re Corporate Solutions in North America.